A playful, psychedelic entrance installation by artist and illustrator Hattie Stewart welcomes visitors to The Other Art Fair which takes over two central London locations during Frieze Week, the busiest week in the UK's art calendar. The fair - which is owned by online gallery Saatchi Art - returns to Bloomsbury's historic Victoria House and presents a new programme at The College at Old Central St Martins across the road on Southampton Row. All artists have been chosen by a committee of experts making it "worth visiting to truffle out emerging painters" (Financial Times). Femme Fatale Tattoo Studio create a pop-up hand poke tattoo studio, Farmstand host a pop up restaurant and Soho Radio curates the music. With more than one thousand pieces starting at £50 as well as many arty events such as curated walks and live music, this is a completely unstuffy art experience. What are the best dining options near The Other Art Fair October 2018 London? The Other Art Fair October 2018 gyms, sporting activities, health & beauty and fitness. The best pubs near London The Other Art Fair October 2018. 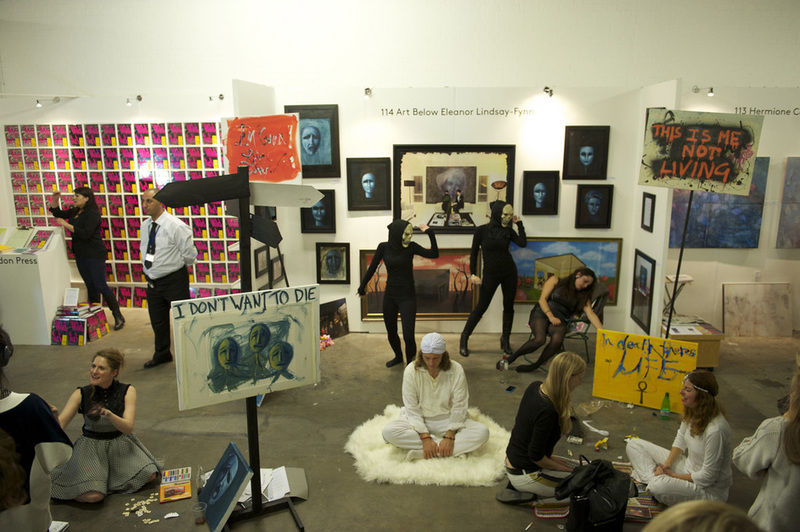 The Other Art Fair October 2018 clubs, bars, cabaret nights, casinos and interesting nightlife. Where to have your meeting, conference, exhibition, private dining or training course near The Other Art Fair October 2018. From cheap budget accommodation to luxury 5 star hotels see our deals for Victoria House hotels, including The Buckingham London from 82% off.